NORTH BAY, Ont. 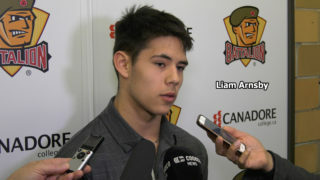 – Six skaters and two goaltenders chosen by the North Bay Battalion in the Ontario Hockey League Priority Selection last Saturday have been named to play in the sixth annual OHL Gold Cup tournament at Kitchener from May 3-6. 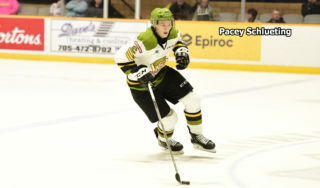 First-round selection Pacey Schlueting, a defenceman chosen ninth overall from the North Bay Trappers minor midgets, leads the group. 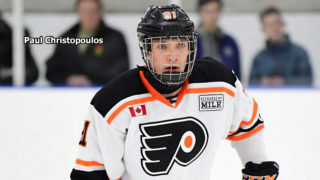 Others, in the order they were taken in the OHL Priority Selection, are centre Cameron Peters from the Toronto Marlboros minor midgets, goaltender Joe Vrbetic from the Don Mills Flyers minor midgets, centre Kyle Jackson from the Toronto Red Wings minor midgets, left winger David Campbell from the Trappers, right winger Jesse Kirkby from North Bay, goaltender Reece Proulx from the Trappers and centre Jack Stockfish from North Bay. 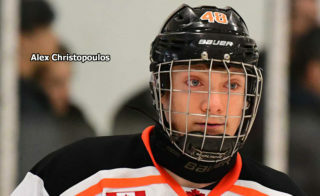 Schlueting, Campbell, Kirkby, Proulx and Stockfish are to play for the Northern Ontario Hockey Association club, while Peters and Vrbetic are with the Greater Toronto Hockey League’s Red team and Jackson with GTHL Blue. 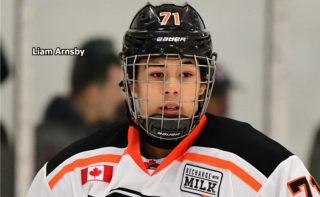 A total of 160 players, including 130 taken in the 2018 OHL Priority Selection, were chosen for the tournament, which features the top under-16 talent in Ontario. Under Hockey Canada’s Program of Excellence, select players will be invited to the national under-17 selection camp, where they will compete for a spot at the World Under-17 Hockey Challenge. 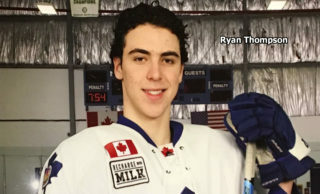 New features of the OHL Gold Cup include three off-ice education sessions, dedicated position-specific practices and a full-team game-day skate. The tournament format has been changed to feature three pool games and one crossover game on the last day. The winner of the A1 versus B1 crossover game will be recognized as the champion. The Ottawa 67’s have a leading 10 prospects competing, while the Peterborough Petes and Sudbury Wolves have nine each.